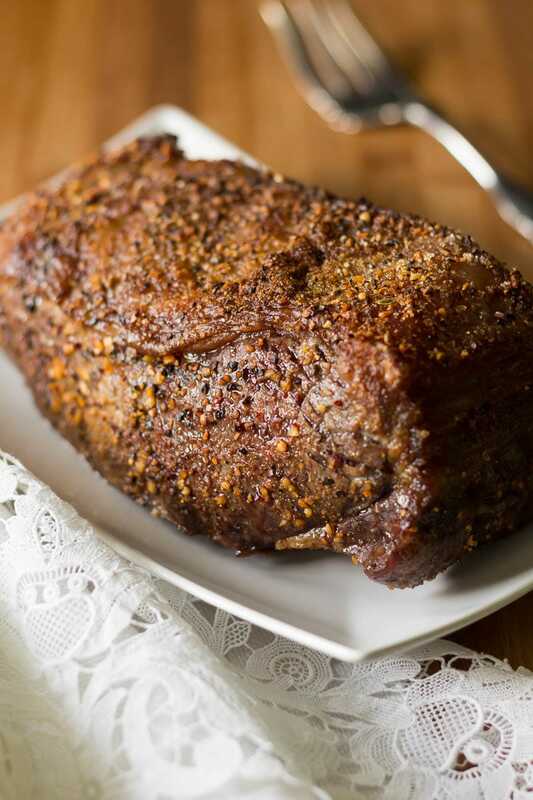 This New York Strip Roast recipe has been compensated by Sunday Supper, LLC, and Certified Angus Beef® brand. All opinions are mine alone. Doesn’t the word “satisfaction” just sound satisfying? Say it. Let it roll right off your tongue. I want to feel satisfied after a meal; or, as I often say, “Full and happy!” The trick is to find satisfaction while maintaining balance: not too much, not too little. 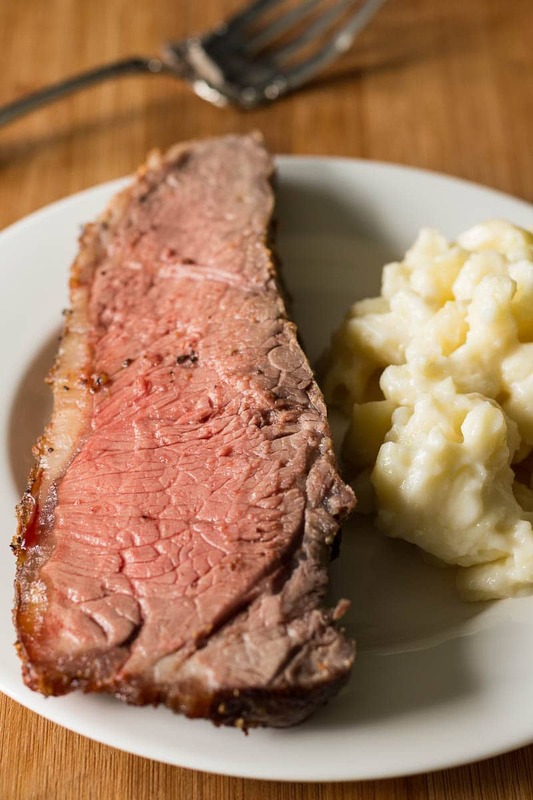 This New York strip roast recipe fits the bill. There’s nothing more deliciously satisfying than a good roast that’s been cooked to a turn. I used to be intimidated by roasting large hunks of beef, but I’ve since learned that they’re actually one of the most foolproof foods around! Throw on some seasoning, stick in an oven safe thermometer, chuck it in the oven, and go about your business. You will be amazed, and you will immediately put this on your regular rotation of dinner recipes. 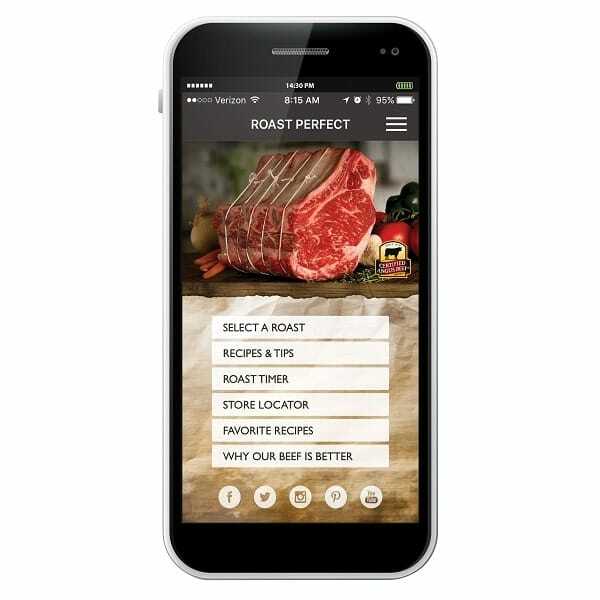 One of the things that has really helped me to master the preparation of beef is the RoastPerfect app from Certified Angus Beef® brand. Really, there’s no excuse not to roast. I think it’s actually my favorite method for cooking beef because once it’s in the oven, your work is practically done. Other than checking the temperature to see when cooking is complete, you can kick back while you’re waiting. The other bonus is that a roast in the oven smells amazing. Sorry, but there’s no scented candle out there that compares to a roast! You can download this app for Android or Apple. What I love about this app is that you can select a roast, get recipes and cooking times, and then set a timer in the app to help you keep track. You can also use the in-app store locator to find where Certified Angus Beef® brand is sold. I like to serve my roasts with a tasty side dish. Scroll down below the roast recipe for more recipe ideas to make your meal complete. By all means, avoid scrubbing out your pan. Line it with two layers of foil. You’ll thank me later. Don’t have a roasting pan with a rack? If there’s no time to buy one, pull out a long piece of aluminum foil, crunch it up like a thick aluminum foil snake, and curl it into a loose coil. Voila! Instant roasting rack. If you have favorite herbs or spices you like to add to beef roasts, add them in. Seasoning a New York strip roast isn’t rocket science- even if you just throw on some salt and pepper, you’re good to go. A strip roast may be labeled Kansas City Strip roast, New York Strip roast, strip loin roast, or top loin roast. It’s lean, tender, and full-flavored. You can learn more about beef cuts here. I like to use an oven safe thermometer so that I can insert it before cooking. Then, there’s no worries about losing the juices later when you stick in a thermometer. 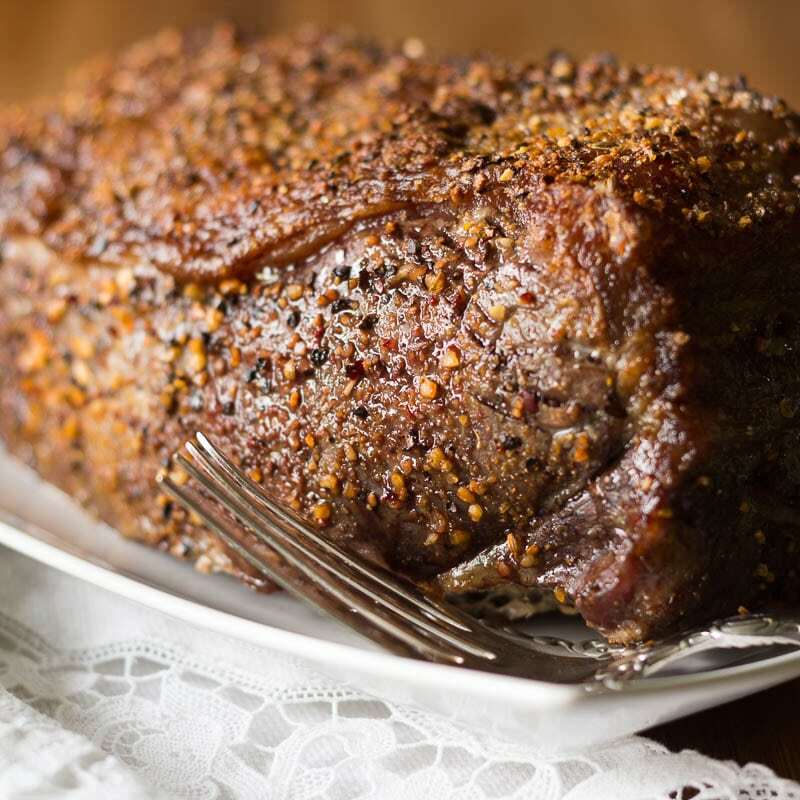 If you like this roast, you’ll also like this prime rib roast recipe! Go ahead, impress the in-laws with this. You don’t have to tell them how easy it was. New York Strip Roast is so insanely delicious, it's amazing that it isn't already on your menu every week. Make it happen with this ultra simple recipe. Sprinkle plenty of sea salt, black pepper, and steak seasoning on to all sides of the roast, gently pressing it on to the surface to make it stick. If you have an oven-safe meat thermometer, you may insert it into the thickest part of the roast now, before it goes in the oven. Place the seasoned roast fatty side up on the roasting rack. Roast for 15 minutes at 425 F.
Remove roast from oven and let rest 15 minutes. Slice across the grain to serve. 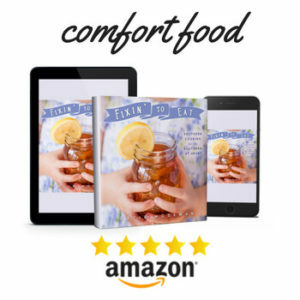 These recipes come from the kitchens of talented food bloggers, where each recipe is carefully tested before publication. 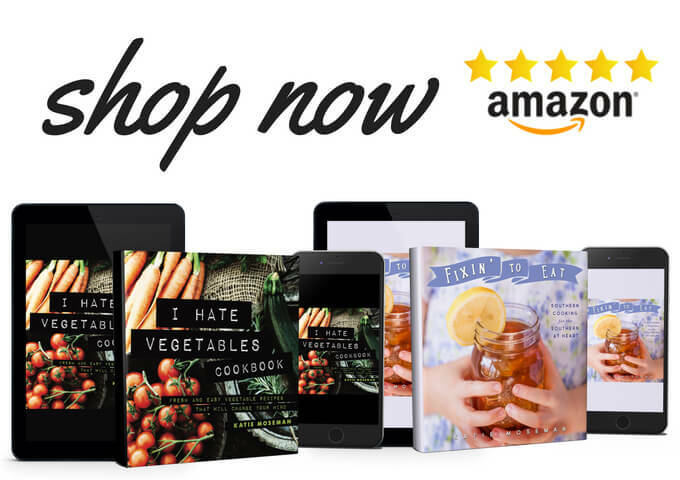 You’ll enjoy any of these appetizers, breads, salads, sides, and desserts! My mom is a huge steak fan. She is always looking for new ways to take her steak up a notch. 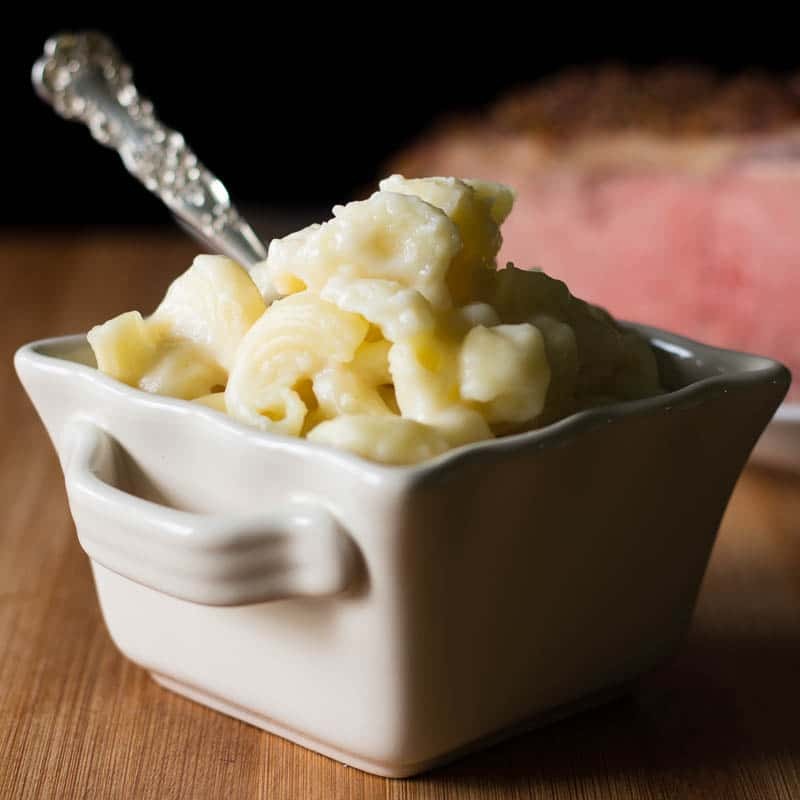 I think she’s like the savory crust and not to mention that yummy looking mac! I wonder how a savory crust would work on tofu? Might be good if you could roast it! This is the kind of meal that will get me extra brownie points with my Hubby! 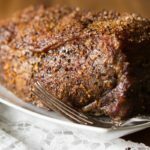 He is such a meat and potatoes person that I know he will love it if I tried making this New York Strip Roast with Savory Crust recipe! So thanks for sharing! If hubby likes meat, hubby will love this! So easy, so perfect… and you can make sandwiches off it for days. Oh my goodness, I want a steak so bad right now! I almost never make steak, because I think of it as something you just Cook on the grill… I have no idea how to actually make them otherwise, except that now that I think about it-my George Foreman grill is perfect isn’t it? I like your idea of roasting it though, that’s easier to clean and I may definitely have to try it. I think this method is the easiest of all methods for cooking steak. As long as you have a meat thermometer, it will be perfect. I’m drooling while reading your post! I really must get around to buying a roasting rack, but just haven’t done it yet. Aluminum foil works so well! This post makes me want to have steak tomorrow. Looks delish! Strip Roast would be perfect in our date this coming Valentine’s Day with my hubby, he would love this for sure. And we always enjoy the moment with macaroni. Oh yes, definitely a good special occasion meal! That roast looks delicious. And yes I always line the pan with foil to make clean up quick and easy. Love you idea of making your own roasting rack too. Thank you! I try to take pictures that reflect all that tastiness. This looks absolutely delicious! I would have never thought to pair it with a microwaveable side – espeically lean cuisine! Now I know what I want for dinner! I was surprised by how good the mac & cheese was! It was a fun way to reduce the work and still have something tasty to enjoy as a side. Making a roast is one of my favorite meals. 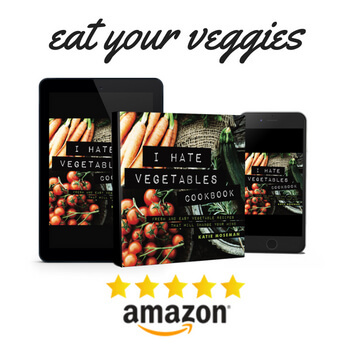 It’s so easy – throw it in the crockpot with some seasonings and head about my day. That’s what I did today in fact. This is so,worth the effort and it is ? This post will definitely have taste buds tingling! Beautiful photography, too! Your roast looks divine, Katie!! How I’d love to work my way through this smorgasbord of amazing dishes! Thanks for including one of mine. This looks delicious! Thanks a lot for sharing. Hope you keep sharing more interesting recipes like this. I can’t believe how easy it is to make. This is a gorgeous roast! I love the Roast Perfect App. It is the best tool to use when making a roast! Thank you! Roast Perfect is quite handy. I’m drooling over that crust! And the roast is cooked perfectly. Definitely putting this one on the menu.